Thor hits U.S. screens this weekend, but as is usually the case with potential franchises, fans are already asking questions about the sequel. We know the God of Thunder will feature prominently in next summer’s Avengers team-up flick, but what about Thor 2? 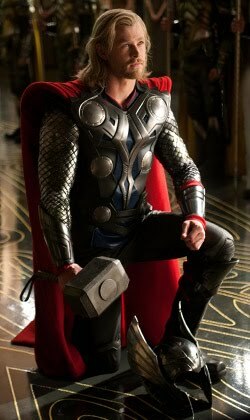 According to director Kenneth Branagh, it’s up to ticket-buying fans whether or not the hammer-wielding deity gets another solo outing. Judging by the early reviews and extremely positive word of mouth thus far from those passionate fans Branagh spoke of, a Thor sequel released post-Avengers is almost a given. However, with so many Marvel Studios projects on the horizon—including another Iron Man film, a Captain America sequel and potential Hawkeye and Black Widow spinoffs—one wonders if audiences will ever get bored of seeing superhero movies every summer. I certainly hope not.